Want to travel in a rocket? Search for a grumpy dragon? Make your very own monster? Visit a higgledy-piggledy farm? 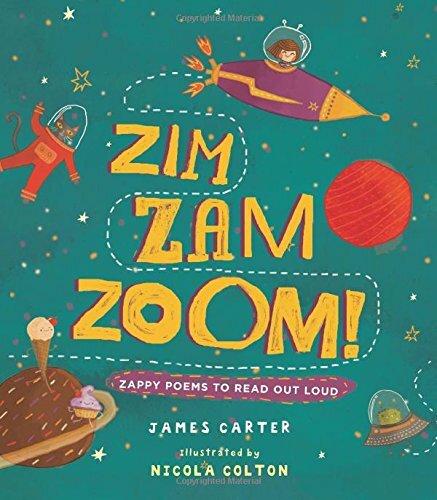 Well, hop into Zim Zam Zoom – for fun and adventures galore! Colours, animals, space, music, fairytale fireworks…! Here is a collection of poems especially written for performance. With delightful illustrations by a talented new illustrator, this is a brilliant introduction to poetry for young children. This catchy title captures the spirit of this collection of sixteen poems which are to be read ALOUD by children to children. The excellent full-page illustrations are just as zappy as the poems.